Listen up New Yorkers, those hot nuts you just swallowed could be used to light the signs on Broadway. Okay, so that's a stretch, but the city's Department of Environmental Protection (DEP) just issued a plan to turn the stuff you flush, along with rest of its wastewater, into renewable energy. New York City produces about 1.3 billion gallons of wastewater daily, yielding 1,200 tons of biosolids that can be harvested to procure methane -- already accounting for 20 percent of the city's energy -- and butanol, a clean gasoline alternative. The plan, which also includes wind and solar projects, aims to use gas, converted by large digesters, to "power wastewater operations, meet on-site heat and electricity needs, and, where feasible, sell excess energy to the market." As the DEP points out, the plan isn't far fetched -- we've seen a couple of solutions for turning human excrement into usable energy, and a project already under way in Greenpoint is estimated to procure enough methane over the next year to heat 2,500 homes. Now, if that doesn't give you a newfound respect for the porcelain throne, we don't know what will. 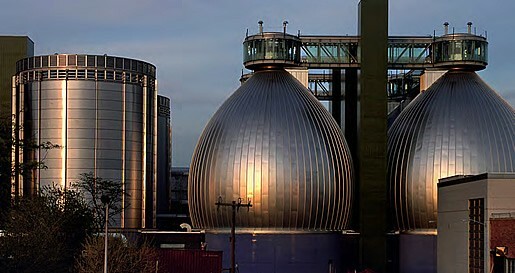 New York City turns to sewers for energy solutions originally appeared on Engadget on Wed, 16 Feb 2011 16:25:00 EDT. Please see our terms for use of feeds.